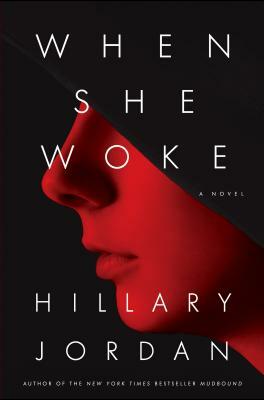 Bellwether Prize winner Hillary Jordan’s provocative new novel, When She Woke, tells the story of a stigmatized woman struggling to navigate an America of a not-too-distant future, where the line between church and state has been eradicated and convicted felons are no longer imprisoned and rehabilitated but chromed—their skin color is genetically altered to match the class of their crimes—and then released back into the population to survive as best they can. Hannah is a Red; her crime is murder. Mudbound won the 2006 Bellwether Prize, founded by Barbara Kingsolver to recognize socially conscious fiction, and a 2009 Alex Award from the American Library Association. It was the 2008 NAIBA Fiction Book of the Year and was long-listed for the 2010 International IMPAC Dublin Literary Award. Paste magazine named it one of the Top Ten Debut Novels of the Decade. Mudbound has been translated into French, Italian, Serbian, Swedish, and Norwegian, and the film version is forthcoming in fall 2017. When She Woke was long-listed for the 2013 International IMPAC Dublin Literary Award and was a 2012 Lambda Literary Award finalist. It has been translated into French, German, Spanish, Turkish, Brazilian Portuguese, and Chinese complex characters. Jordan has a BA from Wellesley College and an MFA in Creative Writing from Columbia University. She grew up in Dallas, Texas, and Muskogee, Oklahoma, and currently lives in Brooklyn, New York.